Unique Rubber/Opencell and plastic special glue: allows both glue and remake of the material. Very flexible collage. Essentially to stick rubber and plastic. 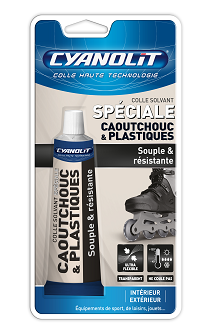 In particular, this glue is perfect for sports or leisure equipment, while being waterproof.